In just a few short days, the 2019 NASCAR Gander Outdoors Truck Series will make its debut as a newly re-branded series. NASCAR answered quite a few fan demands earlier this month when it announced new post-race inspection procedures. After the checkered flag flies, the sanctioning body will thoroughly inspect the first- and second-place finishers at the track, along with a random pick. Any driver found with an L1 or L2 violation of the rules will be dropped to last place, while the rest of the field will be moved up one position. In addition to having the win stripped — something NASCAR had avoided in its history — all playoff points, stage points and the potential playoff berth associated with a victory in a car found in violation of the rulebook will be stripped as well. Perhaps one of the more exciting changes this season includes a program that mimics the NASCAR Xfinity Series’ Dash 4 Cash. Dubbed the Triple Truck Challenge, drivers will have a three-race shot to win an additional $500,000 beginning with the series’ second visit to Texas Motor Speedway on June 7. Extending through a trip to Iowa Speedway on June 15 and then Gateway Motorsports Park on June 22, any single-race winner will take home an additional $50,000. If a driver wins two of the three events, they will earn $150,000. And if they happen to win all three? $500,000. Just like the Dash 4 Cash program, only drivers declared for points in the Truck Series will be allowed to enter those three events, allowing them to take center stage. But where the Triple Truck Challenge differs is that drivers don’t need to qualify to be eligible to win the bonus. As long as they’re in the race, they have a shot at the cash prize. 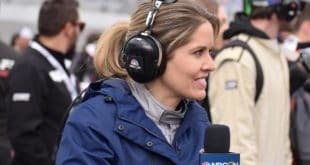 “It’s neat in the sense that it’s a little bit different,” NASCAR Managing Director of Racing Operations and International Development Ben Kennedy said. 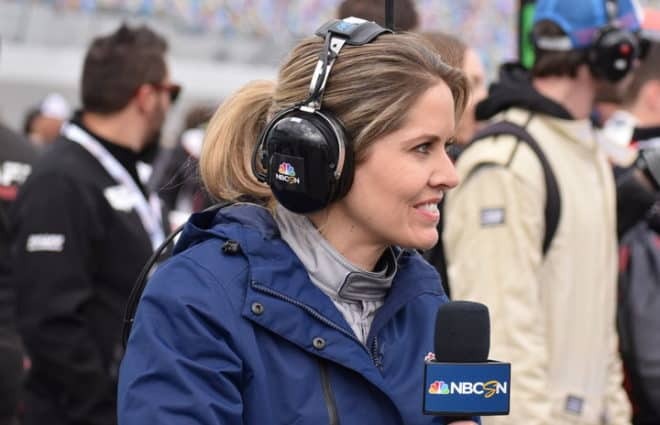 “It’s solely focused on the Truck Series drivers. [Series sponsor Gander Outdoors was] very involved in the process; they’ve really been involved a lot (transitioning) from Camping World to the Gander Outdoors brand. They’re really excited about the Truck Series and what we’re going to bring to the table this year. Triple Truck Challenge to give drivers shot at $500,000 bonus. This weekend, Hattori Racing Enterprises starts its quest to defend the 2018 championship scored by Brett Moffitt — except the defending champion won’t be the driver for that effort. Just days before celebrating the organization’s first title, Moffitt told Autoweek that he would not return to HRE in 2019, an organization that faced financial struggles throughout its championship season due to a lack of sponsorship. “We always wanted to stay together, Moffitt said. “The crew guys and I certainly wanted to stay together. It’s a little heartbreaking to perform like we did and have the kind of year we had and not be able to go back and do it again. 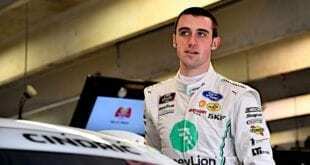 Fast forward to January, and Moffitt found his home for the 2019 season, joining Sheldon Creed, at GMS Racing in one of the team’s two full-time rides. 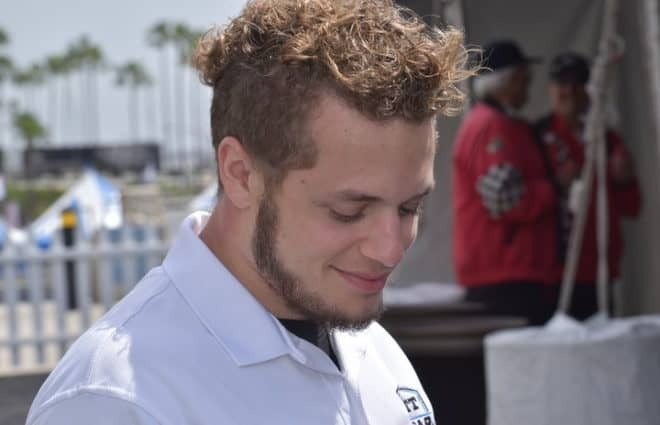 In Moffitt’s place, Austin Hill will join HRE to pilot the No. 16 Toyota. 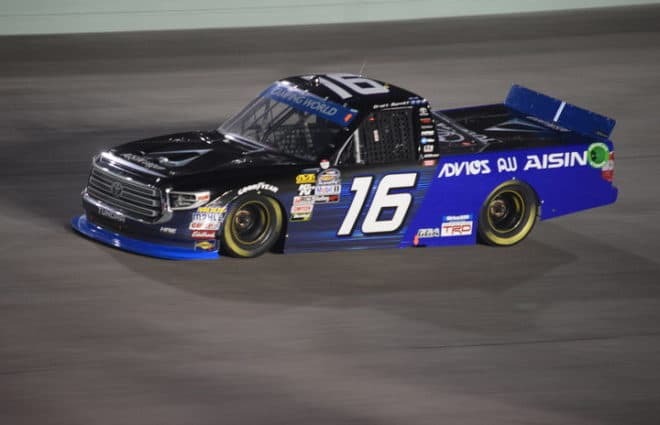 Hill comes out of his first full Truck Series season with Young’s Motorsports, where he scored a single top five, six top 10s and ended 11th in the championship standings. With Moffitt landing at GMS Racing, 2016 champion Johnny Sauter was ousted from the organization after three years, about a month before teams were scheduled to hit the road for the season-opener at Daytona. “Obviously, I was down here at the race shop and sat down with [GMS team president Mike] Beam and he told me we weren’t racing this year,” Sauter told SiriusXM on air shortly after the announcement was made. “He said it came down to financial problems, I guess. So, I think everyone knows this sport is expensive and I don’t bring any money to the table. I come from the school where you get paid to race. 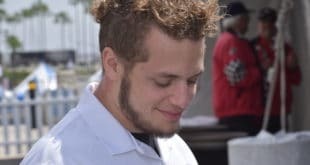 “Having said that, Moffitt is going into the truck from what I understand, and I don’t know anything beyond that,” Sauter continued. “I didn’t get into financial with them, but if he’s bringing something, he’s bringing more than I am. Less than two weeks before the season began, Sauter landed back at his old stomping grounds with ThorSport Racing, the team he left to join GMS beginning with the 2016 season. He’ll rejoin fellow veteran Matt Crafton, along with Ben Rhodes and Grant Enfinger. Myatt Snider is also set to run a part-time schedule with the organization in a fifth truck. While Moffitt and Sauter are among the largest stories when it comes to driver changes, quite a few teams have seen shake-ups heading into this season. 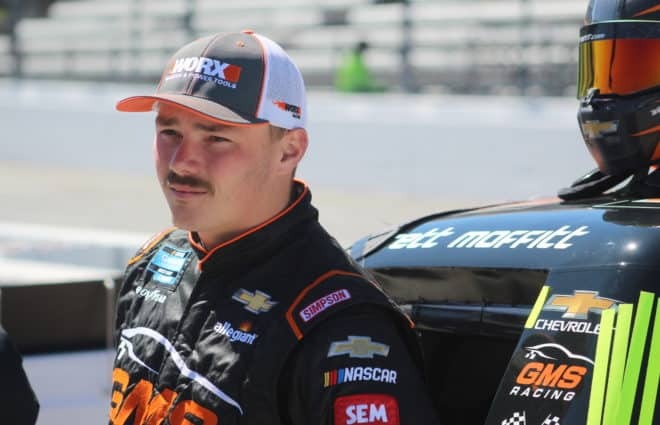 Brennan Poole, who competed full time in the Xfinity Series in 2016 and 2017, joins On Point Motorsports to run his first full Truck Series schedule. Poole has three previous series starts, including a best finish of 11th at Las Vegas Motor Speedway in 2015. Niece Motorsports announced a full-time run with its No. 45 Chevrolet. Ross Chastain and Reid Wilson, who have a combined 62 series starts between them, will split the ride. With Austin Hill’s departure, Young’s Motorsports has completely revamped its lineup. Spencer Boyd, Tyler Dippel and Gus Dean are all set to run full-time schedules with the organization this season. HERE IT IS!!! The news is finally out!! Full time time driver in the NASCAR Truck series with @youngsmotorsports and @lghvacusa!!! So incredibly excited for this amazing opportunity! Such a humbling experience to unveil the car in the @nascarhall!! SO PUMPED RIGHT NOW!!!! #MASHONIT! Chad Finley Racing and Roper Racing have plans to attempt the entire schedule this season. Chad Finley and Robby Lyons are set to share the No. 42 Chevrolet, while Cory Roper will pilot the No. 04 Ford. As of press time, there are 40 (!) entries listed for Friday night’s season-opener at Daytona, meaning eight trucks will be sent home by the time qualifying is complete. Angela Ruch will make her first series start since 2010 behind the wheel of the No. 8 NEMCO Motorsports Chevrolet. Meanwhile, Natalie Decker will make her Truck Series debut with DGR-Crosley in the beginning of a part-time schedule with the organization. Kyle Busch will make his 2019 series debut at Atlanta Motor Speedway on Feb. 23. 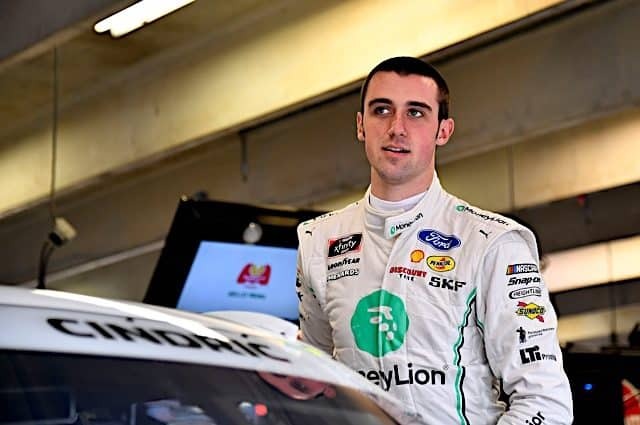 The remainder of his five starts this season will include Las Vegas Motor Speedway (March 1), Martinsville Speedway (March 23), Texas Motor Speedway (March 29) and Charlotte Motor Speedway (May 17).